Here's a gorgeous book that focuses entirely on Luangprabang. It lists and enumerates all the many temples, stupas, thats (alt. tats), as well as, the Royal Palace, secular architecture and French colonial buildings. There's a bunch of a other miscellaneous items and places such as Pak Ou Caves that are covered too. And since there is a lot of religious coverage she also explains each type of building found on Buddhist temple grounds. It's chalk full of wonderful photography and diagrams, including comparison photos between old black and white photos compared to what some of the places look now. Additionally, there's art analysis and background information provided in the book. It really is simply a jewel of a book. I highly recommend it. It's still reasonably priced. This book reminds me of Madeleine Giteau's book, Art et Archelogie du Laos, in terms of its format, layout and style. 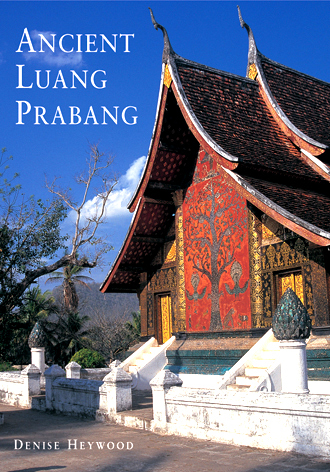 In any case, this has to be the one of the few in-depth Luangprabang books written in recent memory.